In recent years, Europe has lost much of its promise. The financial crisis, the debt crisis, the refugee crisis, the apparent systemic deficiencies of national and supranational governance structures, as well as a fading confidence in democratic government, have led to a certain impression of “messiness.” If we take a look at Europe’s current legal and political landscapes, we find ourselves, in our imagination, in the Rhine-Ruhr-Area: in Europe’s biggest, confusing, and most intricate megacity in the heartland of Schuman’s and Adenauer’s Europe, which mirrors rapidly changing economic and cultural realities. There, even locals go astray when adventuring beyond well-trodden paths, often apologizing for its unstructured appearance with a sense that its best days are over. Regarding the situation of public authority in Europe, academics express the same downbeat perception of entanglement and decline that we associate with the Rhine-Ruhr-Area in a more sophisticated, but no less paralyzing fashion: by quoting the philosopher Samuel Pufendorf. The famous dictum which Pufendorf used to characterise the messy structures of the Holy Roman Empire has become a commonplace in legal and political scholarship as we try to grasp the particular features and dynamics of Europe as a legal and political space: irregulare aliquod corpus et monstro simile, which means a monster-like body politic. To address such structures, a broad approach is urgently needed—an understanding of European public law that takes a fresh look on realities and paves the way for a better understanding, and ultimately includes domestic public law. We need to reach beyond the public law of the European Union because public authority in Europe remains overwhelmingly exercised by state institutions whose authority flows from their various constitutions. The various crises of these last years have made glaringly clear how much depends on the proper functioning of Member States’ public laws, laws that are hardly known outside the respective countries. Yet, these domestic laws form part of today’s ius publicum europaeum, of European public law as a transnational constitutional space, a legal and political sphere where institutional structures and legal dynamics are horizontally, as well as vertically, intertwined. Member States’ public laws are core elements of the European legal space, where institutions are not integrated within a strictly hierarchical system. They are united by the transnational elements of European public law: most importantly supranational European Union law, but also the European Convention on Human Rights and other international instruments such as the Treaty on Stability, Coordination and Governance, or conditionalities that require domestic reform. These different domestic and transnational laws continuously interact both vertically and horizontally, and have become mutually dependent, forming one legal space. The broad “European Public Law” approach has analytical, as well as normative and constructive ambitions. The broad “European Public Law” approach has analytical, as well as normative and constructive ambitions. 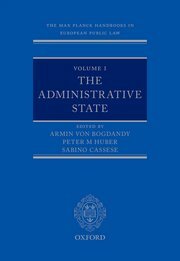 While we identify and describe the often complex, sometimes irritating, pluralities of current European legal and constitutional landscapes, we articulate, at the same time, the aim for its conceptualization and for corresponding doctrinal reconstructions—for a restructuring and revirement that draws from existing constitutional and political traditions. “European Public Law” provides an analytical tool that aims at the full picture by encompassing national, supranational, and international elements. At the same time, our approach does not limit itself to “neutral” description. “European Public Law” takes a position and plays a performative role. First, the “European Public Law” approach pursues European unity as expressed by the preamble of the Treaty on European Union (TEU). European unity presents a fundamental value. Though it remains open in many respects, it is neither devoid of contours nor of many settled components. Some can be grasped easily through comparison with other attempts at regional integration. Second, “European Public Law” goes beyond Brussels, Strasbourg, and Luxembourg. As a comprehensive concept of European public law, transcending a narrow idea of European public law that focusses exclusively on EU law, “European Public Law” takes a closer look to the various domestic legal orders as the loci of most legal operations, deep normativity, and rich scholarship. Their astounding diversity merits our deep engagement—a diversity of stronger and weaker states, of administrative structures that flow from English and French to Ottoman and postcolonial traditions, of unitary and federal systems, of different forms of judicial review, and of academic learning. If properly construed as mirroring, structuring, and guiding legal communication in the European legal space, European public law will substantiate and structure the complex ties of European unity. Third, “European Public Law” advocates scholarship that lives up to the complexity of these ties. This implies joining what our conventional thinking—that is, thinking in terms of “legal orders”—sets neatly apart: EU law, the European Convention on Human Rights, various domestic laws enacting or responding to such transnational law, comparative law, and some international instruments. A comprehensive approach does not repudiate thinking in terms of legal orders, but it embeds the conventional mind-set in order to respond to increased legal complexity. It goes without saying that public law scholarship alone cannot mend the crises that led to citizens’ alienation from Europe. But it can help. A large part of public discourse is shaped and even invented by scholars. Scholarship reflects and creates legal and political imaginaries. Through their reconstructions, scholars create order and provide meaning—not only for experts. For sure, such constructions face significant challenges in a space that comprises a core of 28 domestic legal orders spelt out in 24 different languages. There hardly seems a path to European public law that does equal justice to all domestic systems. And yet, the impossibility of perfect justice does not justify forsaking any attempt at improvement. After all, Europe was not built on anxiety and depression, but on bold realist idealism and tireless aspiration. Drawing inspiration from Jean Monnet, one should not to be discouraged but rather emboldened by the messiness of the present and the challenges ahead. Armin von Bogdandy is Director at the Max Planck Institute for Comparative Public Law and International Law in Heidelberg, Germany. He is, with Peter Huber and Sabino Cassese, co-editor of the Max Planck Handbooks in European Public Law, published by Oxford University Press. Alexandra Kemmerer is Senior Research Fellow and Academic Coordinator at the Max Planck Institute for Comparative Public and International Law, and Head of the Institute’s Berlin Office.